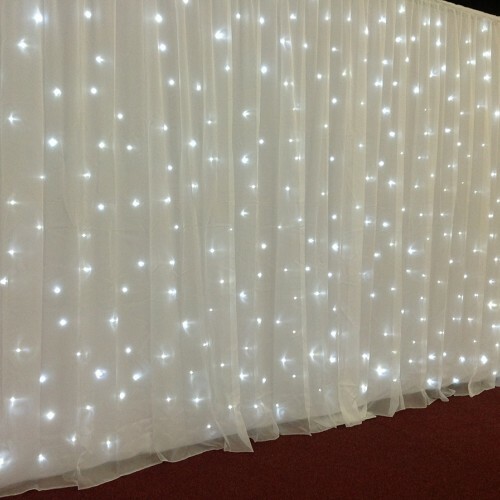 Looking to upgrade your backdrop to something elegant and more professional, our exquisite LED backdrop curtains. Giving a luxury feel to any occasion, these stunning drapes are ideal for weddings, fundraisers, theme nights and corporate events, making any venue look absolutely spectacular for the night. Save yourself the time and effort of positioning lights behind your fabric backdrop by choosing one of our readymade starlight backdrop curtains instead. 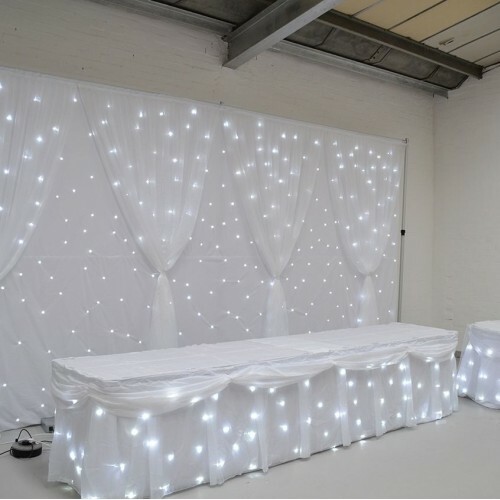 Whether you choose to incorporate LED backdrops around the entire room for the most dramatic effect or would prefer a feature wall for guests to have photographs taken against, our high-quality LED starlight curtains are incredibly easy to install and remove, as well as being fire-retardant, durable and strong, making them ideal for repeated use. They look stunning when combined with swags or overlays and are a wonderful way to highlight the most important areas of a room. Keep the subtle lighting theme going throughout the venue with our coordinating easy set-up table skirts, so that every table is highlighted with beautiful LED. 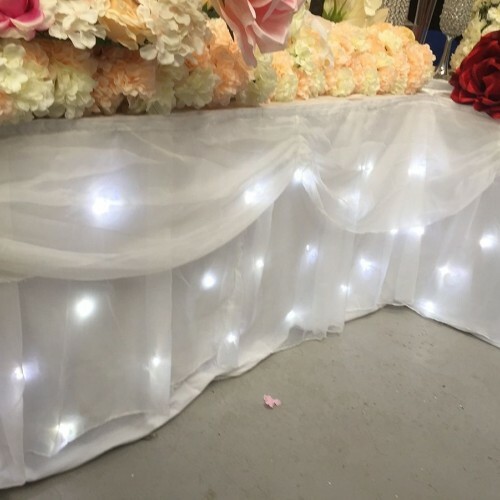 Or you might use these LED starlight backdrops for the most important tables in a room, such as the bride and groom’s top table, the cake table or stage, depending on the event. Our DMX starcloths come with a number of lighting options which are easily accessed with a discrete DMX controller. The built-in long-life bulbs are ideal for use over many occasions and are easy to change when one does finally blow – we also sell replacement bulbs so you have spares ready for this very purpose. 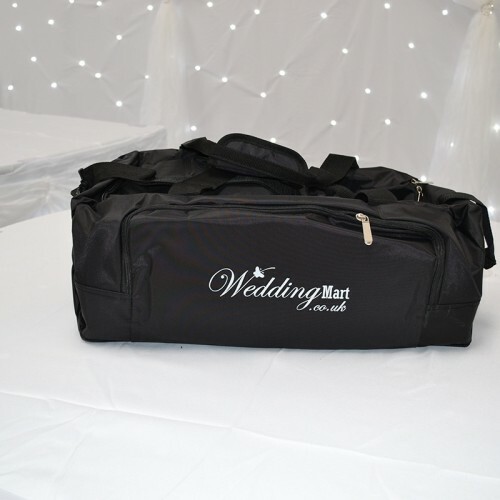 As a manufacturer of starcloths, we are able to offer bulk and wholesaler packages in order to keep the costs down for event planners and wedding organisers. Our next-day delivery is ideal for last-minute emergencies, while the outstanding quality of our products speaks for itself.